The Artas® robot is the future of hair transplants, as it selects the best donor hair with laser precision and has minimal scarring. The Artas® also acquires the highest number of useable grafts with over 95% accuracy. For precise graft dissection unmatched by manual techniques. Remains at a consistent 95% success rate throughout the procedure. Designed to produce minimal scarring and healthy grafts. Provides an un-paralleled amount of visual detail of the donor area. Provides accurate mapping of critical hair follicle characteristics. Identify and select only the best hair for harvesting. 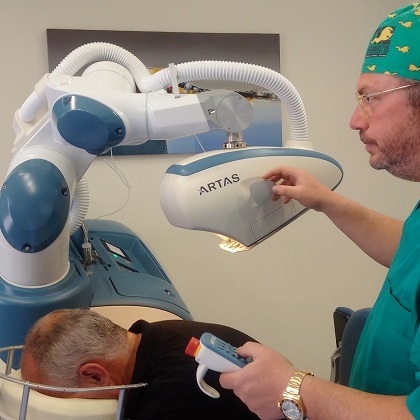 If you are interested in a hair transplant using the superior Artas® robot then please click on the "book a consultation" button below and fill out your details. One of our team will then be in touch with the details of your free consultation. One aspect of my moving to work in Greece, some 15 years ago, was losing the opportunity to conduct 'face to face; consultations with our prospective patient's. Now, after discussions with Dr. Tsounis, I am making arrangements to return to the UK, to, once again, conduct 'home' consultations across the UK. I look forward to meeting 'in person' very soon. 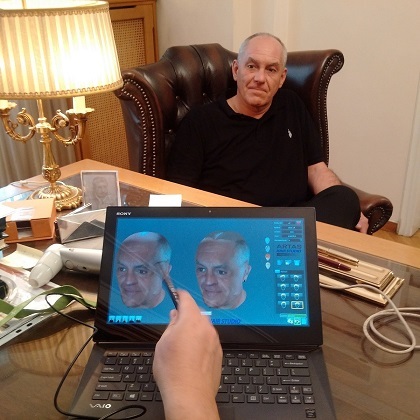 The software that comes we use is called 3D Hair Studio and is an excellent tool that allows us to take a 3D model of a patients head and then we can show them exactly how they will look after a hair transplant. Below is an image of our surgeon using the software during a free consultation. Send us your photos of your hair loss areas and we will send you a 3D model of how you will look after your transplant. 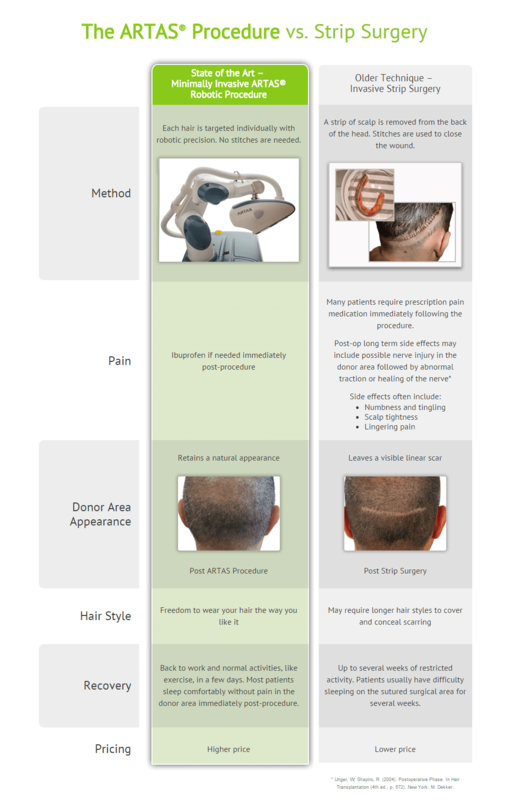 Please download our PDF documents to learn more about the Artas® Robot and how it can help you. 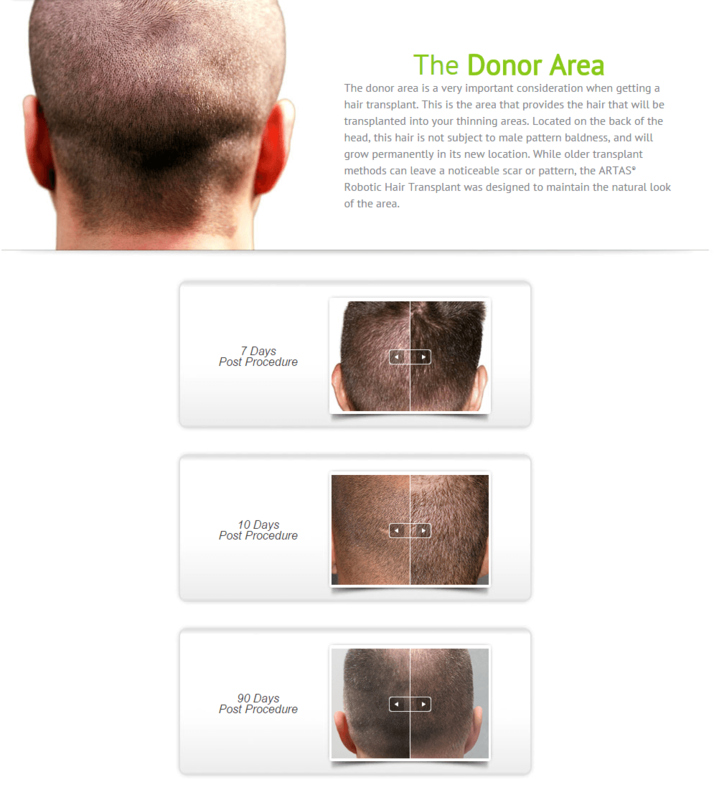 We use the Artas® FUE laser guided technology to take our donors. We provide a free online Skype consultation with our surgeon, to assess and discuss the options available to you. Our surgeon and nurse have both been working in the industry since 1992. Enjoy your surgery in the beautiful and historical city of Athens.